At the end of the week, we resume everything that the cryptocommunity talked about over the past seven days. This week Bitmain officially filed an application for IPO, Tom Lee predicted Ethereum price to $ 1,900, and the number of active coins on the CoinMarketCap website exceeded 2000. The investor and well-known supporter of digital currencies, Mike Novogratz, said that by the end of this year the value of the largest coin will jump by 30%. 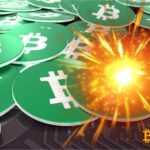 According to him, there is a high probability of a breakthrough to $ 10,000, however Novogratz allows a more modest increase in the bitcoin rate to $ 8,800. According to Tom Lee from Fundstrat Global Advisors, at the end of this year Ethereum will revers the trend and rise to $ 1,900. Lee noted the "too negative" mood on the Ethereum market will be the basis for a strong rebound in the near future. 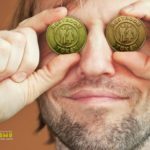 In an interview with the Romanian financial publication Business Review, the financial markets analyst and specialist of the Polish cryptocurrency exchange Aforti Exchange S.A. Marek Paciorkowski said that the price of bitcoin could drop to a level of $ 100 - a threshold that it has not been approaching for more than five years and which will mean a decline of 99.5% compared to the historic maximum reached in December 2017. Editor-At-Large for TechCrunch said in an interview with CCN that as long as people can not use the blockchain comfortably, the technology will not get mass adoption. According to him, this will take from three to five years. Until the end of 2019, the volume of trading in virtual assets will grow by about 50%, according to a study by the company Satis Group. At this, the cryptocurrency market will not stop and will continue to demonstrate growth. 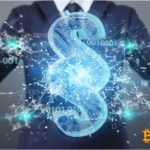 The study also notes that about 75% of all transactions with digital assets are operating on the top 20 cryptocurrency exchanges. The American company Morgan Creek Capital Management, which manages assets, has submitted a new report on the state of the market in the second quarter of 2018. It stated that cryptocurrencies will replace the fiat money. The Morgan Creek report also says that the evolution of bitcoin prices follows the pattern of 2014. According to the authors of the document, in the next three years the price of the coin will reach $ 100,000. The activity of regulators has a significant impact on the prices of the cryptocurrency and their market as a whole, according to a new study of the Bank for International Settlements (BIS), whose co-founders include the 60 largest central banks in the world. Diar's research illustrated that U.S. agencies officials already spent $ 5.7 million on contracts with companies providing services in the field of blockchain this year. The first place in expenses is occupied by the Internal Revenue Service (IRS), which spent $ 2,191,835 on nine contracts. Diar also published a list of the ten most failure ICO projects. The World Economic Forum (WEF) in mid-September published a report with an optimistic outlook on the future of the world economy. If the forecast will correct, the integration of blockchain technology can have a huge impact on the development of the global trade industry in the next ten years, bringing up to $ 1 trillion in the world economy by 2028. The board of trustees which is carrying out elimination of cryptocurrencies on behalf of the bankrupt exchange Mt. Gox, has sold Bitcoins and Bitcoin Cash for 25,98 billion yens ($230 million). On Tuesday, September 25, the managing director of means of the exchange Nobuaki Kobayashi has reported that cryptocurrencies in such volume have been sold after the meeting with creditors which has taken place on March 7. Circle Internet Financial launches its own stablecoin (USDC), which linked to U.S. dollar. A consortium called Center will act as a platform for deposits and exchange of stablecoin. It is reported that USD Coin will be available on the Poloniex cryptocurrency exchange, which belongs to Circle, as well as Huobi, OKCoin, KuCoin and Coinbase. According to information in the Circle blog, more than 20 companies are going to support the USDC. The Swiss corporation Tiberius Group is preparing to issue a cryptocurrency, which provides with non-ferrous and precious metals. The company plans to use copper, aluminum, gold, platinum, tin, nickel and cobalt to provide its stablecoin. The website CoinMarketCap, a popular source of information on the state of cryptocurrency, on September 28, passed another important milestone. Now its market capitalization rating includes data on more than 2000 active coins and tokens. Since early 2018, the list of the site has replenished with 600 digital assets. Coinbase unveiled the mechanism for listing new digital assets on its site and integrated the support of the British pound into all its services. In a statement of her press center, it is noted that the development of rules for listing coins was carried out based on the results of a mass appeal of users. Hong Kong cryptocurrency exchange Bitfinex announced the upcoming launch of a beta version of the new EOSfinex trading platform. The launch will take place in November this year, and in January next year the platform will start servicing all interested investors, the project website says. The new decentralized platform will handle operations on cryptocurrency trading using EOSIO technology. Zebpay, India's largest cryptocurrency exchange and multi-currency online wallet, announced that it is stopping operating due to a ban on the part of the local central bank. This step is a direct result of the Indian Reserve Bank policy, which banned all regulated financial institutions, including banks, to serve the cryptocurrency industry. The Chinese company Bitmain officially sent an application for participation in the initial public offering (IPO). The giant wants to place its shares on the Hong Kong Stock Exchange. Against the background of this news, the price of Bitcoin Cash began to grow rapidly. The startup team Braiins Systems announced the launch of software that will solve many problems of miners. In particular, for several years the Slush Pool team has been struggling with the non-standard behavior of mining hardware. This provokes difficulties in the work of the pool and slows down the production of cryptocurrency. The Japanese IT-company GMO has presented its new free software for the Zcash cryptocurrency. GMO stated that the program Cryptknocker is designed for Zcash mining using GPU Nvidia. The Chinese company Ebang Communication has introduced three new bitmoin-mining devices from the Ebit E-11 series, which to be able to develop a hash in the range of 30 to 44 Th/s. Vitalik Buterin plans to increase the number of transactions in the Ethereum network by 3200% (to about 500 transactions per second) without the use of second-level technologies, such as Plasma. In his publication at the Ethereum Research forum, the co-founder of the project noted that Ethereum can borrow innovations from the cryptocurrency with increased anonymity Zcash for mass validation of transactions in its network. The team of Opera browser devs presented a desktop beta version of its product with a built-in wallet for storing ether. In addition, it can be used to interact with any decentralized applications. Users of Bitcoin Cash have an opportunity not only to make transactions in network of this cryptocurrency, but also to store information. Such option integrated by a startup of Simple Ledger Protocol (SLP). Australian researchers on September 26 announced a successful trial launch of a new generation of blockchain, which is capable of demonstrating a speed of 30,000 transactions per second. The system, launched in the cloud service of Amazon Web Services (AWS), claims to be the first in the world in speed among corporate blockchains. The interbank blockchain project, led by JPMorgan and aimed at accelerating checking data process, attracted more than 70 banks and became the largest application of distributed ledger technology among regulated banks. The interbank information network tested in October 2017 as a way to cross-border payments. The expert on open source software and blockchain Dutchman Ben Strick managed to find the traces of financing the cell of Syrian jihadists with the help of innovative technology, to track kidnappers in South Africa and to enter the network of crypto fraudsters. All criminals were associated with one bitcoin-address. Austrian government intends to issue government bonds worth 1.15 billion euros next week using Ethereum platform. The US Securities and Exchange Commission (SEC), as well as the Commodity Futures Trading Commission (CFTC), sued the international securities dealer 1Broker for violating federal law due to integration a swap scheme with securities based on bitcoin. 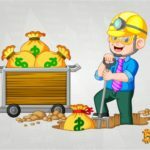 On September 22 Crowd Machine reported that hacker compromised its cryptocurrency wallet and stole a large number of tokens called Crowd Machine Compute Tokens (CMCT). According to Etherscan, the unknown kidnapped more than 1 billion CMCT, most of which transferred to cryptocurrency exchanges. The Russian woman has invested more than 1.7 million rubles in the purchase of fake bitcoins. The investigation of this case continues. There were no information about the detention of the suspects. The team of the long-awaited platform Bakkt issued an announcement for the crypto and investment community, announcing its first contracts for bitcoin futures on terms of physical calculations. The Swiss startup, established by former UBS employees, attracted about $ 104 million to create a "regulated cryptocurrency bank" and traditional banking services. On September 27, a starup from a Swiss "cryptovalley" named SEBA Crypto said that it received funds from local and foreign investors, including Black River Asset Management and Summer Capital. Google Corporation intends to cancel the ban on advertising crypto, but only partially. The future cancellation of the ban concerns the advertising of cryptocurrency exchanges. The ban on the promotion of all of the above is still valid. Under the new rules, cryptocurrency exchanges will be able to advertise their activities in Japan and the United States. Yuri Pripachkin, president of the Russian Association of Crypto Industry and Blockchain (RACIB), supports the decision of the American giant to lift the ban. The social network ASKfm is conducting a new extreme ICO. This time, participants will have to look for tokens in the highlands in Scotland. Giving the term "airpoque" a literal meaning, the Latvian social network with the help of the British company Skyrora, which produces technical means for launching satellites, dropped the Ledger Nano S wallet on parachute. After landing, the project team members buried it in the ground in an unknown place. According to ASKfm, the value of coins in the wallet is $ 100,000. © 2018 bit.news | queries 228, for 0.582 sec.